We’re all familiar with just how cheap and convenient shopping online on Amazon or eBay could be. What you may not have been so familiar with is just how many of your friends and neighbors are sitting on the other side of the screen, selling you that bargain-priced pair of headphones or that bulk pack of pens. 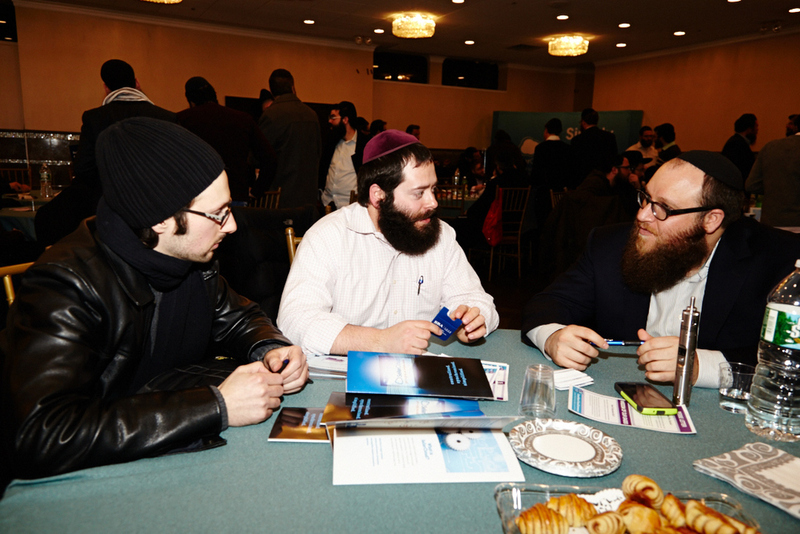 Online retail is one of the fastest growing markets in history and people in our community have been taking advantage of it, as evidenced by last weeks CHYE E-Commerce seminar and networking event. The main hall at ULY Crown Street was full to capacity as 150 business men and women gathered to listen, learn, and network. The keynote address was delivered by Mr. Eli Katz, CEO of The Emob (theemob.org), a trade association of E-Commerce retailers who collectively represent over a billion dollars in revenue. Mr. Katz spoke about some of his experiences in his 20 year e-commerce career and shared some of the hard-earned lessons he’s picked up along the way. 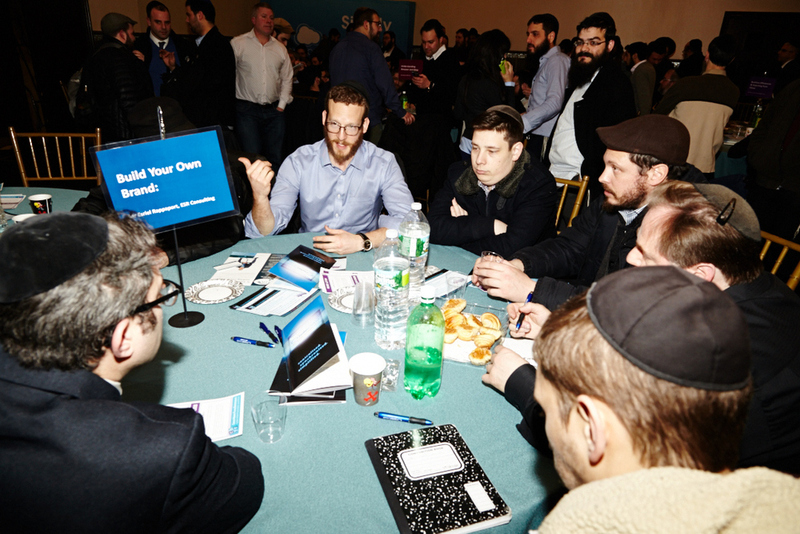 The event also featured roundtable discussions hosted by industry leaders from many different E-Commerce categories and with many different levels of experience, like Mr. Ezriel Rappaport of ESR Consulting who specializes in e-commerce branding and Mr. Sam Raksin of All For Less Trading Corp, who at 24 was the youngest roundtable host. Walking around the room one could hear all manner of questions being asked and answered, from the specific like “When is it time for me to hire HR for my company?”, put to Mr. Chaim Piekarski of C&A Marketing; to the more abstract, like “How do I figure out what are the things my business does best?”, asked to Mrs. Kayla Kramer of Lullaby Baby. Roundtable participants gained very different things as well, one, who identified himself as an e-commerce beginner said that he was there just to get more comfortable with the various concepts and principles while another, Mrs. Brachah Yanni of Three Bows Collection spent a lot of time asking asking detailed specific to her business needs. What did she learn? “I learned that if something works for you, keep doing it” she said. “Don’t be scared to grow slowly as long as you’re building on what you do best”. 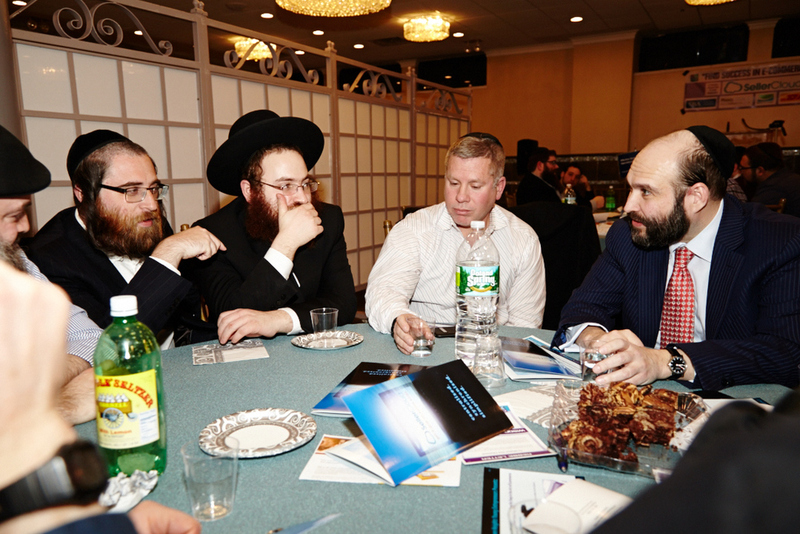 The atmosphere at the event was warm and friendly, something which was commented on by more than one person; Tzi Chamish of InstaTrade said it was “A warm atmosphere, a great Business chill”. 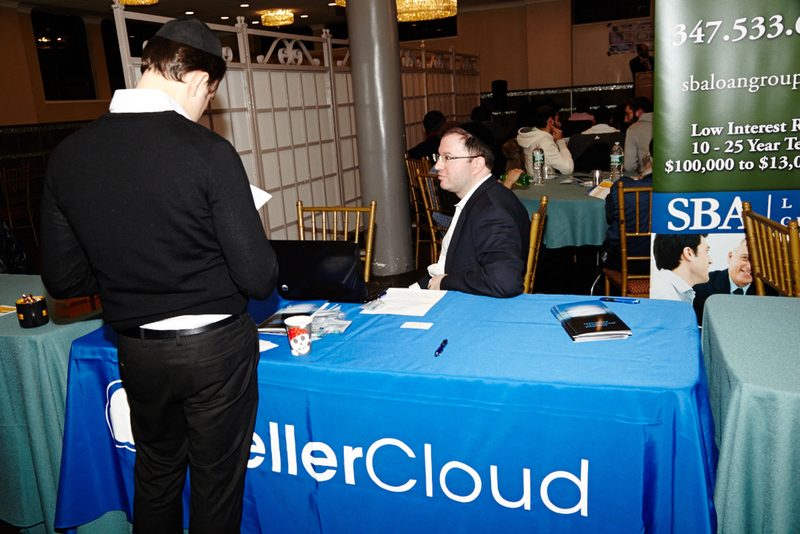 Jeremy Greenberg of SellerCloud, which was an event sponsor, commented on how impressed he was with the Ahavas Yisrael in evidence, people willingly and happily sharing advice and lessons with others who might be their competitors one day. 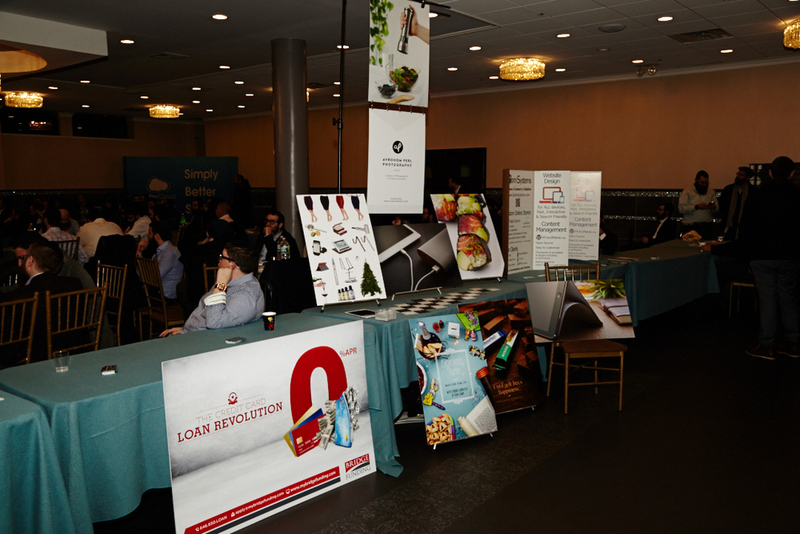 The attendees came bearing different levels of e-commerce experience and success, ranging from 10-15 year veterans to people who are just getting started, and there was something there for everyone. 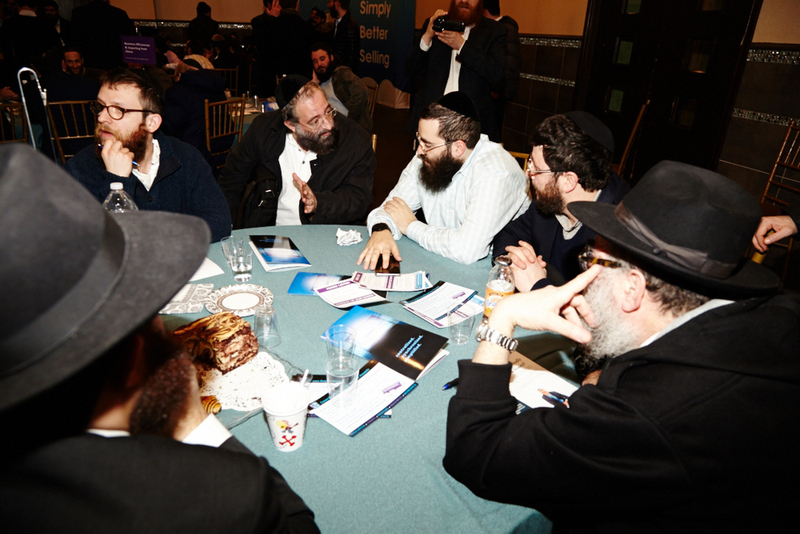 Rabbi Yehoshua Werde of CHYE (Crown Heights Young Entrepreneur), which hosted the event, explained that “We wanted to reach both the young people just getting into it and the older people who feel they have more to learn”. The mission of CHYE is to help the community take advantage of business opportunities he said and “E-Commerce is a field with incredible potential that we want to help people get into and succeed”. CHYE’s investment does not end with the event though, as they will also be starting an E-Commerce business course for beginners as well as a monthly meetup of established E-Commerce businessmen. E-Commerce has clearly turned into a great business for the frum community and more and more people are jumping in. Today, you almost certainly have a friend or family member in the business, and who knows, tomorrow it might be you.